Dahi wadas and Rayta is mostly served in the summer season. 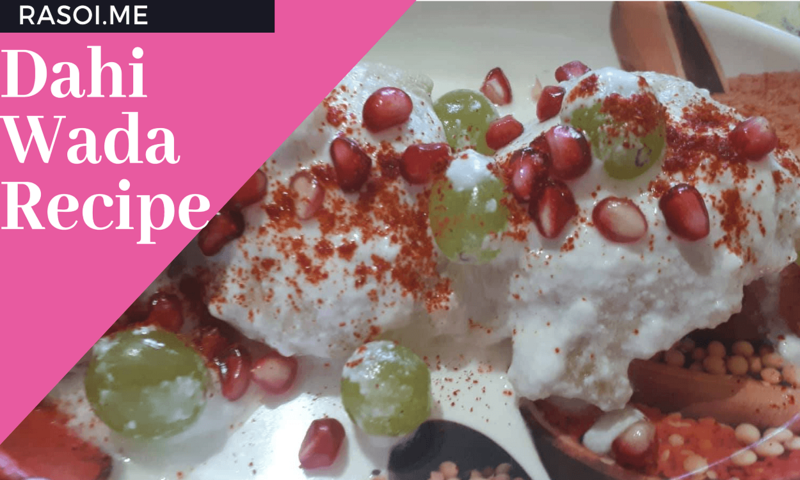 Easy Dahi Wada recipe enjoys this tasty recipe at home Watch this video and tries this recipe at home. Follow all the steps and subscribe our channel today for easy homemade recipes. We can take 1 cup dal and soak in water for 8 hours. Wash it 8 times. Urad dal become soft after 8 hours. Urad Dal we remove all water and put this into Mixer grinder with half cup water and grind it smoothly. Heat oil in Kadhai make the dahi wadas with help of spoon. It will take 5- 7 minutes to fry this dahi wadas. We take 1 cup curd and grind it and smooth it. Take 1 glass hot water in bowl. When dahi wadas are fried put this dahi wada into water for 2 minutes. Press it with hand and remove all water. Add the Wadas in Dahi and add Angur and Anar dana and sprinkle the Chat masala and Red chillies if you like. Serve Dahi wadas in plate. No Replies to "Dahi Wada Recipe"